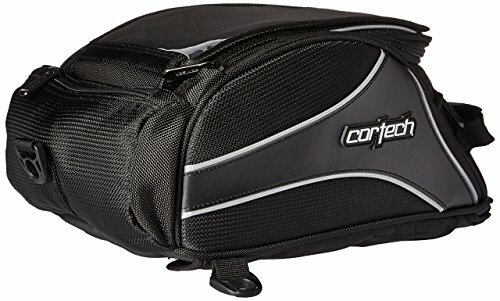 The Cortech Super 2.0 12 Liter Tank Bag is a great option if youre looking for durable luggage for your bike with plenty of storage room. The Cortech Super 2.0 Tank Bag is made from 1680 denier ballistic polyester and 1800 denier 3lined twill Jacquard. There is a protective, non-slip, non-scratch, diamond pattern mounting base to attach the luggage to your bike but the luggage is available in either the mounting unit or the magnetic strap version to help you secure your bag to your bike. The Super 2.0 Tank Bag will supply with more than enough storage space thanks to the expandable main compartment. 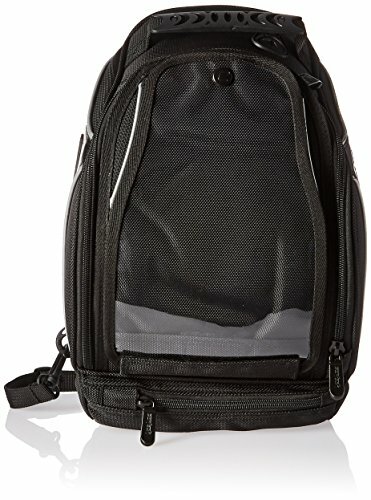 There is a locking zipper pull on the zipper to the expansion compartment to keep your items secure. The interior of the main compartment has a top flap internal organizer and a soft lining. 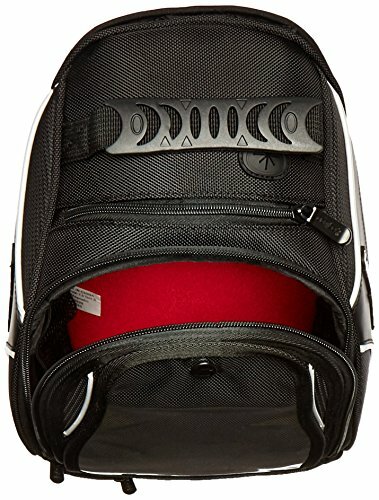 This Cortech Tank Bag has several convenience options including: hideaway back pack straps, a removable/replaceable map pocket, hidden pocket for eyeglasses, and two built in sip tube/headphone exit vents. 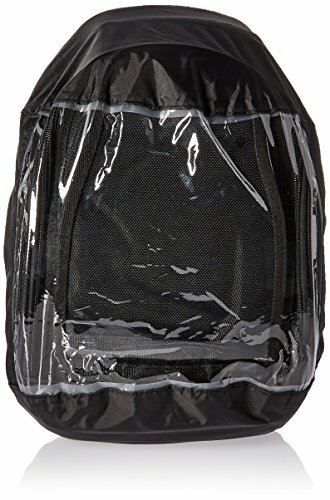 In the event of inclement weather, the tank bag comes with an integrated, stow away rain cover to keep your belongings protected. A two tone red and black, soft lining interior, and shield pouch are included with the tank bag, as well as a water bladder holder. 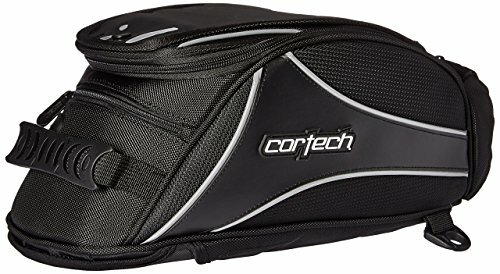 Get the Cortech Super 2.0 12L Tank Bag for your storage needs. Images are for illustrative purposes only. This item is for the bag only. All other contexts are not included.